Hours of operation: 8:00 a.m. to 5:00 p.m. Monday through Friday. Mission Statement: To provide quality outreach health care services and health promotion/disease prevention to American Indians within their communities through well-trained CHR's. 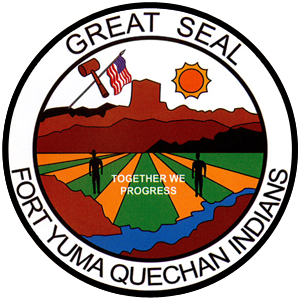 The Quechan Community Health Representative Program provides services to all Indian people living on the Quechan reservation and in the Yuma area, who are eligible for I.H.S. health care. Transportation services to the I.H.S. 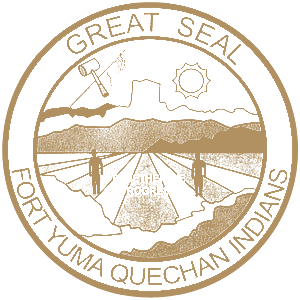 clinic and other medical facilities in the Yuma area are provided, to patients not having any other type of transportation available. Help the elderly or disabled patients to clean and maintain their homes. Teach the elderly or disabled patients to purchase, plan, and prepare simple nutritious meals. When necessary prepare food or perform basic cleaning for individuals who would otherwise be without these services. Medication pick-up and delivery is provided; when a family member, friends, or other means of pick-up is not available.